Tamworth in the Community are excited to announce the news of their fan engagement project, set to improve the match-day experience for a range of supporters and help build stronger relationships with fans that are often under-represented at matches and other events. The grant of £14,250 from the Premier League Fans Fund will enable Tamworth in the Community, the charity arm of the Lambs, to target these under-represented groups, identified as younger fans, families and disabled supporters. The project will work to improve the match-day experience for all, including away fans, and create more ways for supporters to get involved in the club. The Premier League Fans Fund is a commitment from the Premier League to fund projects and organisations which improve the relationship between fans and their clubs, the way football supporters engage with each other and fans experience of the game. 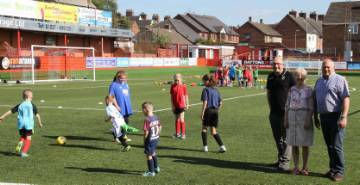 Both Tamworth FC and Tamworth in the Community are almost entirely staffed by volunteers - in the past, this has made it difficult to create new engagement opportunities for supporters. The new match-day experience will include improving online platforms, to improve engagement with fans that can't attend match-days. The investment will also be used to rejuvenate the Junior Lambs Supporters Club, through new and exciting recruitment packs and training volunteers to deliver the project. In addition, the project will see Tamworth in the Community working to provide more engagement opportunities for disabled fans through local outreach workshops and stadium visits as well as developing their existing Fan Zone to provide a better match-day experience. The charity hope to actively engage 250 new people through the project and will use its partnerships with local schools to reach out to more young fans. They will also use their links with Special Education Needs schools and Support Staffordshire to engage with existing and potential fans that have disabilities. Dave Clayton, a club volunteer and Lambs fan since his youth headed up the grant application with the full backing of the club. He has been invited to become a Trustee for Tamworth in the Community and said: "We are delighted to have been awarded this grant from the Premier League Fans Fund and are excited to start work on our aims. These include engaging the next generation of football fans to follow their home town club and reaching out to people of all ages and abilities who may not normally get the chance to follow their local team. It will also encourage other groups within the town to get involved in the life of Tamworth FC and all it has to offer the local community." Tamworth in the Community's successful application requires that they meet the following pledges over the next 18 months with the funding committed to following prescribed areas. by rejuvenating a Junior Supporters Fan Club through sign up, encouragement and interaction as matchday mascots, use of the facilities by junior sporting groups and continued involvement with local sporting groups such as Tamworth Junior League sides. by engaging with e.g. schools, youth organisations, persons physical impairments, learning difficulties or disabled groups on a match day and by inviting non-matchday visits to The Lamb. 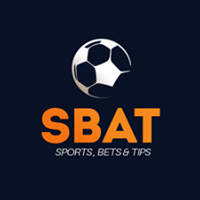 by providing coverage and reviews of first team games to those that cannot attend matches. Online, radio and video content is already provided by the LambsMedia team and the grant will help to improve the output of the group with new equipment and focussed training. The grant will also see the creation of a part time Project Co-ordinator position who will be the link between the charity / football club and the local community through the week and on matchdays. The whole project will be overseen by the trustees of the Tamworth in the Community Charity to ensure the objectives are met. Follow the LINK to the Football Stadia Improvement Fund website with details of ours, and other club's projects.